IP66 protection, compliance with any wet and dust application environment. Patent Design, suspend & mounted installation. No intellectual property risk on distribution. Different beam angle, meet different using environment, Especially Asymmetric light distribution. MEANWELL brand power supply, global 5 Years warranty, ZERO maintenance expense. High power LED heat sink has perfectly replaced the traditional 400W to 1000W sodium lamp, this energy-saving cutting edge innovation fills the gap in the led heat sink market. Waterproof at the same time to clear the mist, to avoid condensation. Improve product quality, prolong life. Those led high bay lights are using high brightness of original packed which acieves system efficiency 130lm/w. Q1. Are you factory direct? 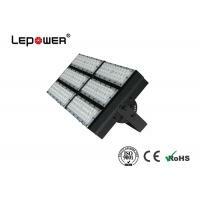 A: As a professional led lighting manufacturer, Lepower established in 2008, specilize in led module, led street light,led flood light and other led lights. Our products are mainly exported to Europe, South America,South-east Asia etc countries and area. Q2. Do you have a special price and service for wholesale? A: Lepower is keeping search a long term business cooperation with our clients, As a professional led lighting manufacturer, we can OEM &ODM for our cilents, fully support and assist on service, to offer you the most competitive price with high quality product is our responsibility. Q3. What payment methods can I use? And how secure is my payment? Q4. How long does it take for my order to be shipped? And how long can I receive it? A: Generally, your order will be shipped within 3-7 working days after your payment received by us. Q5. How about the warranty? A: We offer 5 years warranty. All products are gone through strict test by our experienced QC before shipment.